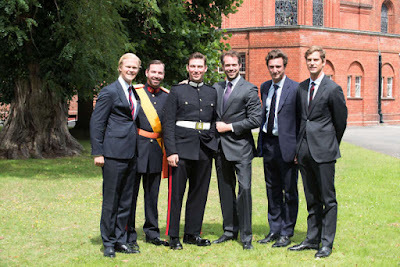 To make an otherwise rather uneventful time a bit more fun (probably not their reasoning but anyway), the cour grand-ducale has decided to grace us with a few additional visuals from the Sandhurst graduation of Prince Sébastien. You can find all of them on their website. Especially lovely: The picture above of all the grandson of Grand Duke Jean who attended the Royal Military Academy. From the left: Archduke Alexander, Hereditary Grand Duke Guillaume, Prince Sébastien, Prince Félix (who started the course but did not finish due to an injury), Prince Wenceslas and Prince Josef. 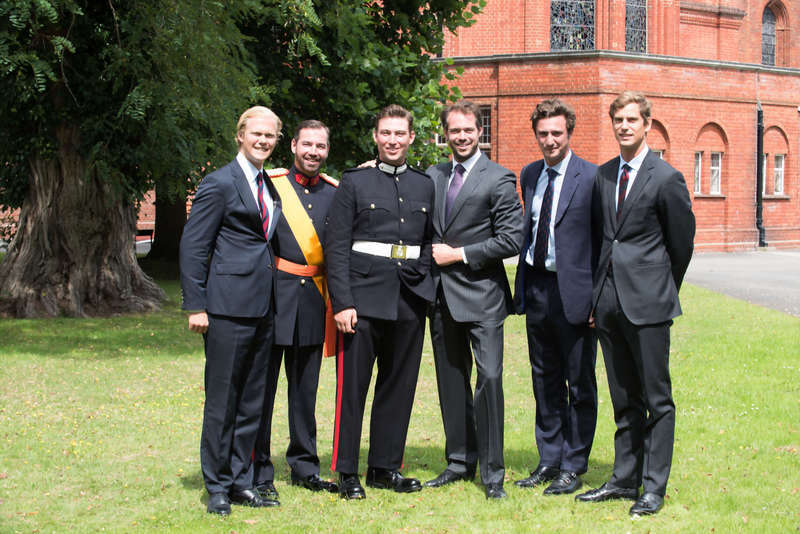 In addition, Prince Sébastien's official biography was updated to reflect that since his graduation from Sandhurst, he has been commandeding a platoon of the Irish Guard", a regiment of the British Army in which his grandfather, Grand Duke Jean, served during the Second World War.